Have you ever wondered why GreenSock doesn't use a more common open source license like MIT? Sometimes our licensing model is misunderstood but hopefully after reading this article you'll see why it is so foundational to the success of our tools and why it ultimately benefits users too. If you had to write and maintain your own jQuery or React or GSAP, could you do it? Would it be as refined and reliable? Probably not. How many times have you found a library or chunk of code on github that saved you hours of development time? Open source can be a quick path to great results. It also serves as a jumping-off point for up-and-coming developers to share their innovation, inspiring others to write better code. Open source is easily one of the most influential movements in the entire development community. We're certainly not anti-open-source. Quite the contrary. Despite its strengths, there are some dark sides to open source. Many projects are riddled with bugs, poorly documented, and sometimes even dangerous to use. The web is littered with abandoned projects that once seemed promising. It's like a clearance bin you'd find at a discount store; there may be some treasures in there, but you'll have to dig through a lot of undesirables to find the gems. In an industry that's inundated weekly with "hot new" libraries, all just a click away for free, it can be tough to figure out which ones to gamble on. Some libraries are one-trick ponies that don't require ongoing commitment. For example, a math library that performs matrix operations or a formatting library. If the author abandons the project, it's no big deal. Other projects, like a full-featured animation library, are much more complex and leverage browser-level optimizations that are moving targets. Vendor-specific bugs need to be worked around or new browser features get introduced that beg to be animated. Plus, animation is the most performance-sensitive aspect of the user experience, so a commitment to ongoing optimization pays dividends. Beyond the code itself, what about community, documentation and examples? These become increasingly important as a library's feature set expands and companies standardize on it, needing to train new staff. Again, some projects have very little need for ongoing support but for GreenSock, it seemed essential. Paradoxically, success is the very thing that kills many open source projects because they don't have a funding mechanism to underwrite all the demands. The project that was once the twinkle in the author's eyes often ends up being a thorn in their side. They can't afford (or don't really want) to keep up with the demands. That's not to say that all open source projects suffer this fate. We have the utmost respect for open source authors, and we don't mean to diminish anyone's hard work or generosity. But there are some common frailties of open source projects in general that GreenSock aims to avoid. Having built and maintained a popular library for over a decade, we've learned that one of the most important factors in keeping a complex project like GSAP vibrant is the licensing model. Self-funded - most open source projects are self-funded, meaning that the authors cover all the costs themselves, typically by donating their time and resources. It's noble and perfectly adequate for many projects. An MIT (or similar) license is a great fit because it allows an author to share code with almost zero strings attached. However, the commitment level tends to be unreliable and self-funded projects are rarely sustained long-term. With our particular project and goals, this wasn't a good fit. Corporate sponsorship - sometimes huge companies like Adobe, Microsoft, Facebook, or Google are willing to contribute funds to encourage a project. They usually have a vested interest in its success. For example, Adobe helps fund CreateJS which is a set of libraries that its very own Adobe Animate (formerly Flash) relies on. React is underwritten by Facebook. This can be a great way to offload development costs onto some deep-pocketed corporations, keeping it totally free for end users. The risk, however, is that if the project goals don't line up with the corporation's agenda (which can shift), funding gets yanked or the developers get pressured to go in a direction that may not be good for end users. If the company has a bad year, they may re-allocate resources. The project is ultimately beholden to a few key sponsors with potentially conflicting objectives. This wasn't something we were comfortable with although we acknowledge that it's a great solution for certain projects. Private investors - famo.us is probably the most well-known example of an "open source" project that took on private investors. A few years and $30,000,000+ later, it stopped development of its open source library and laid off a large chunk of its staff, deciding to "pivot" in a more profitable commercial direction. Private investors want a return on their investment (which is completely understandable) but an MIT license can make that very difficult because it leaves the IP (intellectual property) wide open for anyone to steal, including competitors. Similar to corporate sponsorship, projects who get their funding this way are beholden to a few key stakeholders who may have a very different agenda than end users. Again, this wasn't an ideal fit for GreenSock. User-funded - when funding comes directly from end users, it creates a wider base (more stable) and incentivizes the kind of innovation that end users actually care about, otherwise funding naturally dries up. That's a healthy dynamic for aligning agendas. Rather than serving a small set of outside investors looking for a return or a corporation with profit centers to bolster, end users play the central role. The downside, of course, is that certain features or use cases involve a fee. That can be a tough pill to swallow for some, especially when "free" MIT-licensed options abound. And it takes time to build up a wide base of users who literally "buy in". Trust and longevity are key. But a surprising number of users embrace this model because it allows them to "vote" with their dollars and participate in making a product they love continue to thrive. While this model certainly isn't for everyone, it has been a good fit for GreenSock. Sometimes we hear comments like "you can't use GreenSock in commercial projects without a license." WRONG. [loud buzzer noise]. Our license was designed to make the tools extremely accessible, even permitting usage in one-off commercial projects (where you get paid a one-time fee by a single client). And of course it's free to use in non-commercial projects (see licensing page for details). That way, a certain breed of power-user provides the funding that benefits everyone. An estimated 95%+ of our users never pay us a dime. So while a rare type of commercial project does require a "Business Green" Club GreenSock membership (which covers an unlimited number of projects while active), the vast majority of users never need that special license. This accessibility was a cornerstone of our approach. We didn't want to hide all the tools behind an intimidating paywall or make all commercial uses trigger a fee. Yet it couldn't be as unrestrained as MIT because that would create vulnerabilities for us and our users (as described in this article). Another way we keep the core tools accessible is by freely exposing the raw source code both on github and in our downloads. Users can peek under the hood and see how things work. That makes troubleshooting and learning much easier. We tried to strike a balance of openness and healthy insulation from the frailties of MIT. Most businesses are very concerned about IP infringement, lawsuits, and indemnification. The "no strings attached and no warranties" nature of MIT is both a strength and a weakness. It simplifies sharing, but what if an open source library leverages someone else's IP? What if it uses "copyleft" code that infects anything it touches, requiring that all projects using it be open-sourced as well? That could be a huge problem for businesses with proprietary tools in a competitive market. GreenSock's license doesn't have any attribution requirements, nor does it impose share-alike rules like GNU and Creative Commons. Furthermore, it contains warranties that aren't found in MIT-like licenses, making GreenSock more business-friendly. It survived the software audits and legal review process at reputable companies like Google, Sony, EA, Intel, every major ad network, and many others. This vetting is necessary in the business world where there is so much at stake. The license also allows for code edits to be made for bug fixes. Typically that's not necessary because we handle it as a part of our ongoing support efforts, but businesses appreciate knowing that if we relaxed those efforts, they'd still be able to get their project working if they ran into a bug and needed to squash it themselves. MIT-licensed projects spread on github where it's trivial to fork them and start making custom flavors. That's ideal for authors whose goal is to start something and then step back to let the community run with it. But that can lead to a lot of confusion as different flavors start popping up with incongruent feature sets and incompatibilities. Focus and direction are easily lost. If there's no driver (or too many drivers), it can be a scary ride for the passengers. We wanted the GreenSock brand to convey a certain level of consistency and reliability. That's part of the reason we don't generally accept pull requests - we keep a tight reign on the codebase so that we are intimately aware of every piece. That allows us to not only support it, but also stand behind our IP warranties. We believe that if we respect our users, they'll generally reciprocate that respect. Most people want to do the right thing. So we don't inject "phone home" code that reports usage or causes things to suddenly stop working when a membership expires. We don't force business customers register each user or enter serial numbers to activate seats. We don't limit installations or the number of projects that the license covers. We don't burn extra energy policing usage. We've never sued anyone. 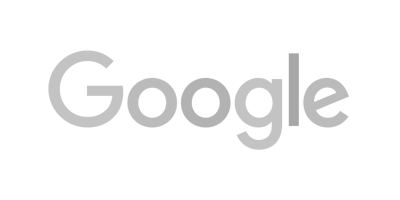 We funnel our energy into refining the tools, innovating, educating, and supporting our users. We put a lot of effort into creating a positive, respectful culture in the forums which boast over 50,000 members and 80,000 posts. We don't charge a dime for support there, and we don't shamelessly promote Club GreenSock memberships. Again, we trust that if we keep trying to provide value, people will notice and gladly sign up to support the efforts at some point. An unintended benefit of our licensing model has been that it naturally weeds out users who expect everything for free and don't recognize the substantial effort that goes into these projects. We're left with users who tend to be very respectful and trustworthy (exactly who we like to serve). GreenSock isn't the typical open source project. Our licensing model reflects that. It offers a blend of sustainability, accessibility, business-friendliness, consistency, and respect that'd be very difficult (or impossible) to accomplish with an MIT-like license. It's not necessarily "better" (open source is fantastic, really) but in our particular case it aligned more closely with the project goals. 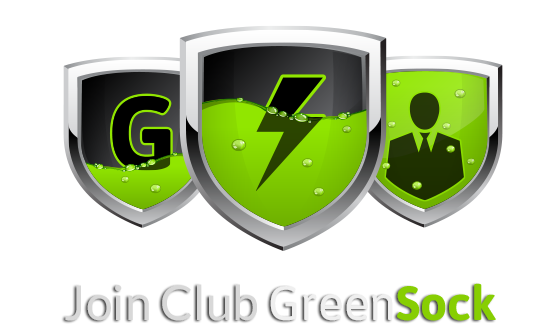 In fact, many companies have chosen GreenSock because of the license, not in spite of it. They wanted to invest in a platform that had a certain level of commitment behind it that's rare in the open source world. After a decade, the experiment seems to be working and we have our supporters to thank for that. We've been humbled and inspired by Club GreenSock members throughout the years. It's a privilege to create these tools and serve the community. We're grateful for their partnership which makes it all possible.